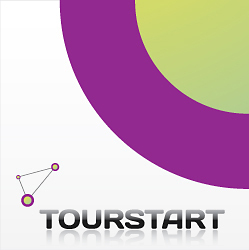 Download Tourstart logo which you are welcome to use on your web site in combination with a link to Tourstart. When click "Download" a new tab will open, and from here you can save it to your computer. 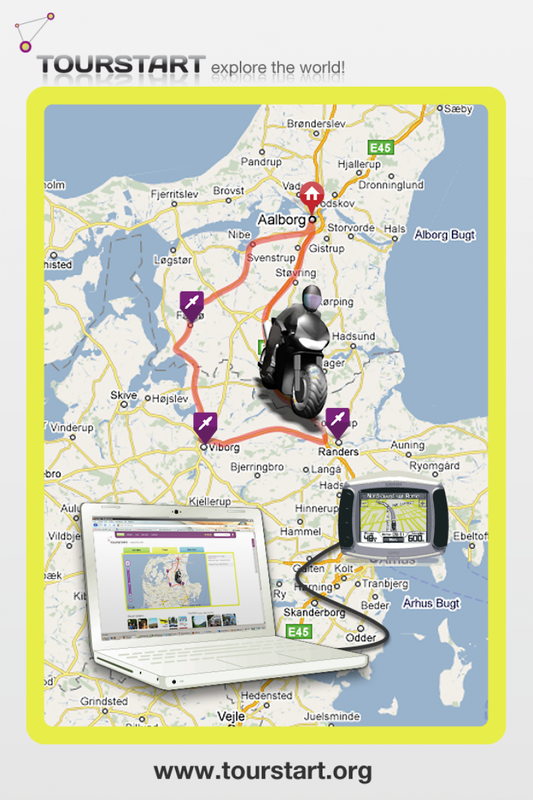 On Tourstart you can find a motorcycle event and mc tour and also plan a motorcycle ride and transfer it to you gps. 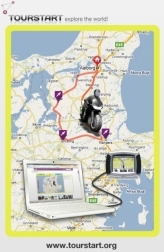 Motorcycle iPhone app for motorcyclists who is interested in motorcycle events and tours. The events are worldwide motorcycle events or events which are interesting for motorcyclists. You can download this picture to use in combination with a link to Tourstart. Motorcyclists prefer Tourstart iPhone app as this gives a unique overview of events worldwide and the routings made by other motorcyclists which can be used as inspiration for own tours. On www.facebook.com/Tourstart use this logo as the visual identity. For different purposes Tourstart have a version of our logo, and this is used on e.g. www.facebook.com/Tourstart as this format is applicaple for specific this media. 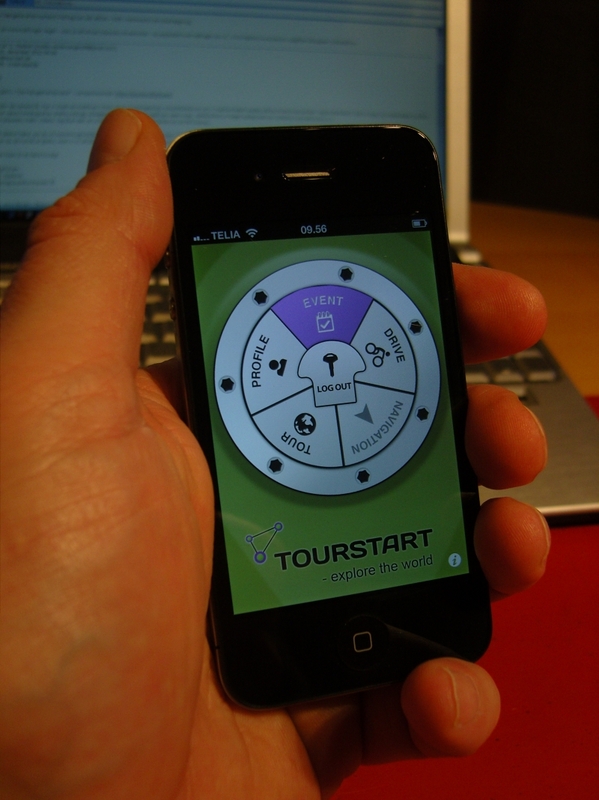 Tourstart iPhone app for motorcyclists where it is possible to find an event or motorcycle tour. Further, it is possible to plan your own tour based on any content on Tourstart. The iPhone app is free of charge and can be downloaede for iPhone and iPad. This is our latest flyer with new graphic to explain what Tourstart is all about. This is our latest flyer with new graphic to explain what Tourstart is all about. 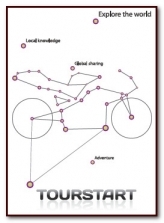 Basically Tourstart is about route planning and sharing the good experiences riding the motorcycle. 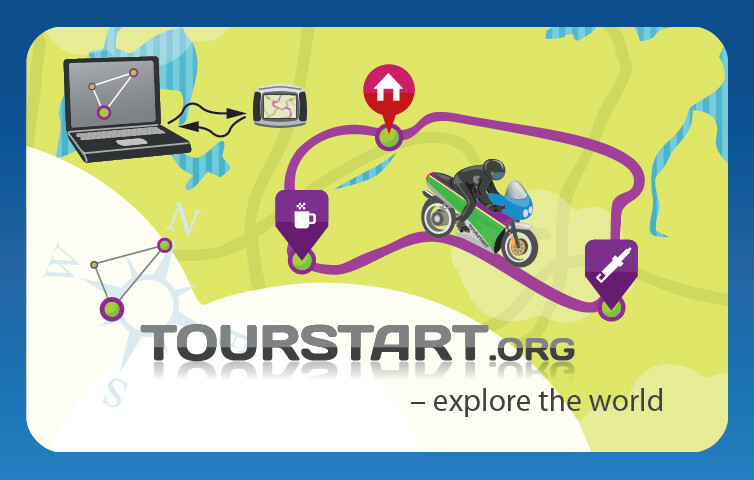 We made a new illustration explaining that Tourstart is all about good motorcycle tours and share GPS data with motorcyclists worldwide, so it is easy to download direct into the GPS. 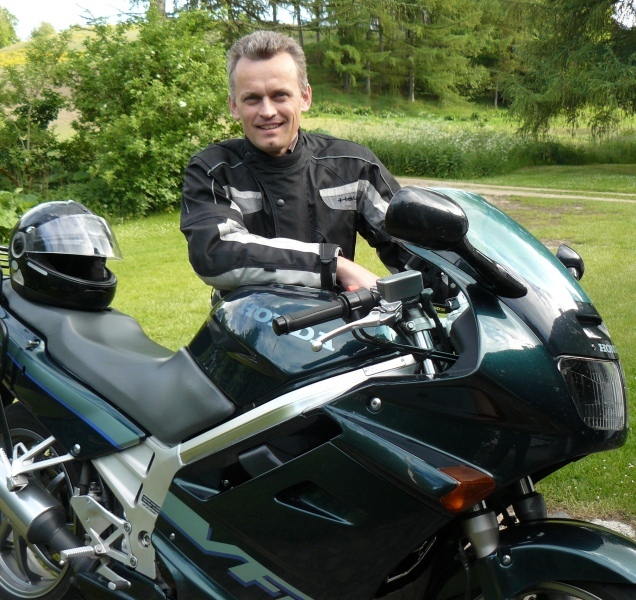 Tourstart is founded by Jan Agnoletti Pedersen who is a dedicated motorcyclist. The reason for creating Tourstart was a wish to create a common worldwide platform where motorcyclists can find interesting events, plan a motorcycle tour and share it with other fellow bikers. Jan explain "I have been riding motorcycle since I was 20 and it is my greatest passion, and I wanted to combine my passion for the motorcycle riding with assuring motorcyclists having the option to find events, create routes and share motorcyle tours - all with the aim that riding the motorcycle must be a pleasure"
Get a quick overview of what Tourstart is all about. Plan your rides, transfer to your GPA, and then ride your motorcycle. You are free to use the logo on your web site giving us a link or if you are writing about Tourstart. Get a quick overview of what Tourstart is all about. Plan your rides, transfer to your GPS, and then ride your motorcycle. You are free to use the logo on your web site giving us a link or if you are writing about Tourstart. Do not hesitate to contact us on info@tourstart.org should you have any questions or comments. 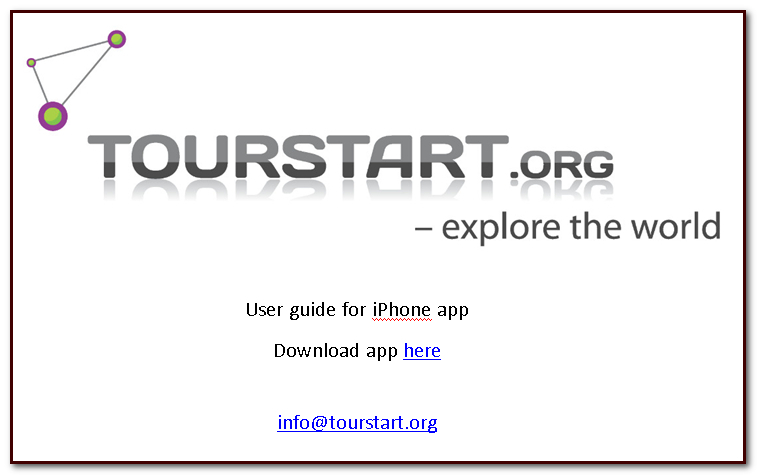 In this flyer you will get more details about Tourstart and the functions we offer our users.